PEEP DANGER for Little PEOPs! Did you know that PEEPs are not even cooked? Peeps are made of sugar, corn syrup, gelatin (ground up pig parts! ), carnuba wax (yes, the same that makes your car shiny!) and food dye all poured into a mold. Eyes are lasered on right after the color dye spray bath and then packaged. 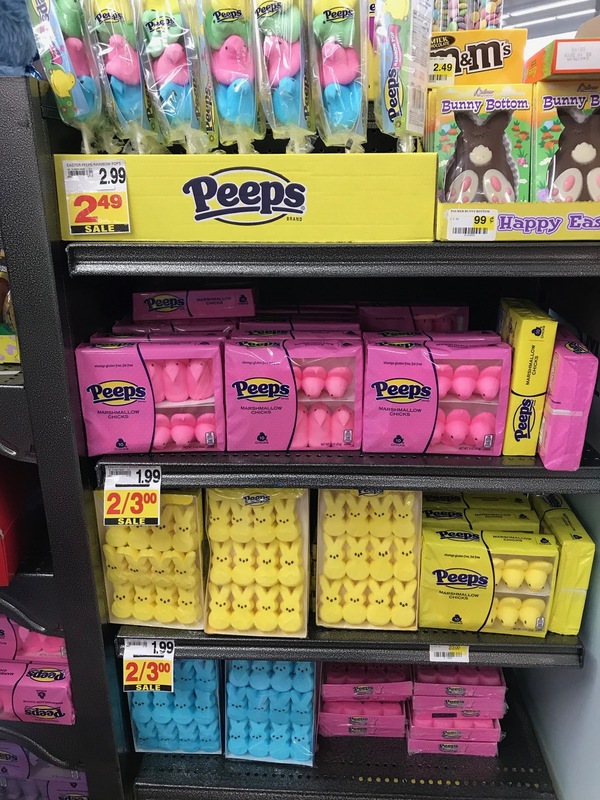 Of greater concern is that 10’s of millions of the sugary treats are given to small children at Easter who don’t follow their Grandma’s instructions to “sit down and chew your food 30 times before you swallow” before wolfing down a PEEP chick or bunny. With the consistency of marshmallows, a child could bite off an ear, beak or chunk of the midsection of a gooey Peep only to have it get stuck in his/her little throat. A registered nurse in our office last week reported that her 13 month old daughter severely choked on a pizza crust that she was mouthing at dinner. Thank God that she was trained in CPR and was able to get it out! Ask for our family discounts. Happy Easter!